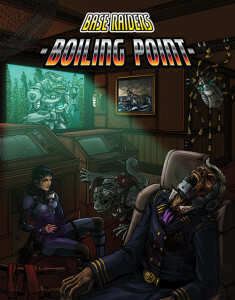 Base Raider’s first adventure, Boiling Point, is now available for purchase as a PDF or print book. You can buy it from DrivethruRPG or the Base Raiders store. If you already have the adventure, you can download a PDF of the handouts so you can easily print them for your group. The Boiling Point page will have links to the conversion guides.